Minister of State at the Department of Agriculture, Food and the Marine, Andrew Doyle, TD, recently outlined the process for granting exemptions from the usual licensing conditions for retailers stocking only pre-packed organic produce. 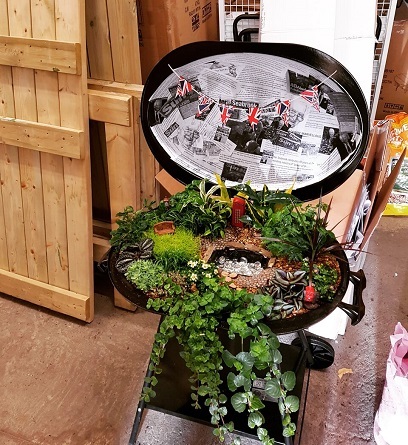 The Oxfam GOAL garden is a vibrant, social space designed to highlight the need for tolerance and acceptance in a world that is becoming increasingly divided. 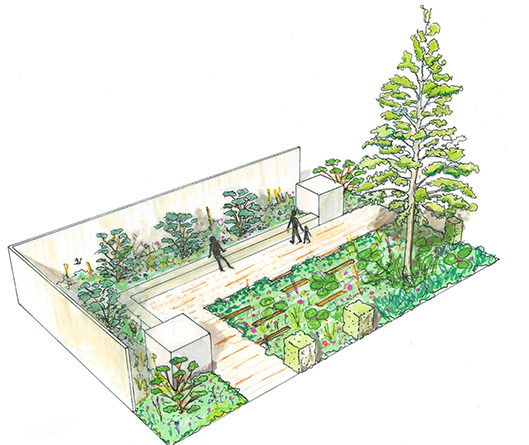 The back wall of this garden represents what could, in a more inclusive and diverse global society, become of some of many border walls that are currently being talked about and constructed around the world today. 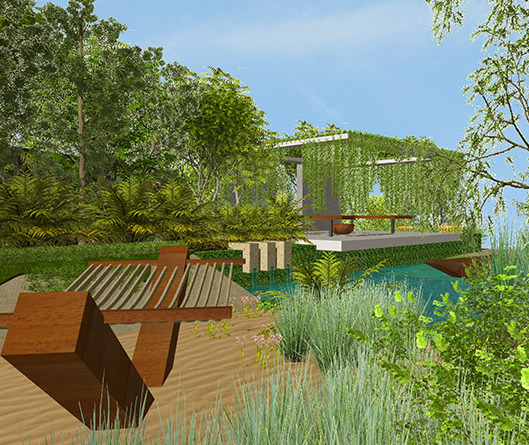 Santa Rita and Kevin Dennis have come together to demonstrate how an oasis of calm can be achieved in the hectic lifestyle of urban living. 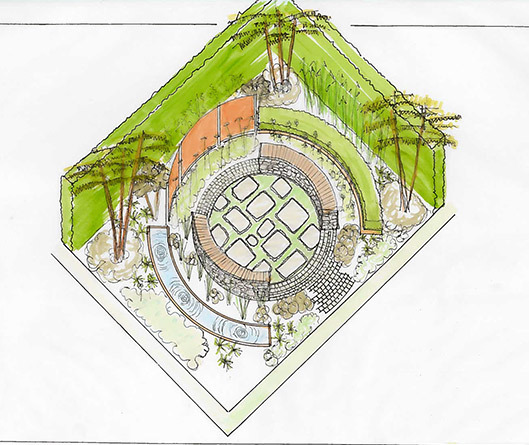 The ‘Living Oasis by Santa Rita “Living La Vida 120”’ garden will celebrate how outdoor spaces should be cherished and how they can make people’s moments special. Dublin Garden Squares Day 2017 returns for its eighth year on Saturday 10th June with a host of expert walking tours of Dublin’s historic squares and public gardens. It follows a free morning seminar titled Squaring the City on Friday 9th June in the Irish Architectural Archive at 45 Merrion Square. 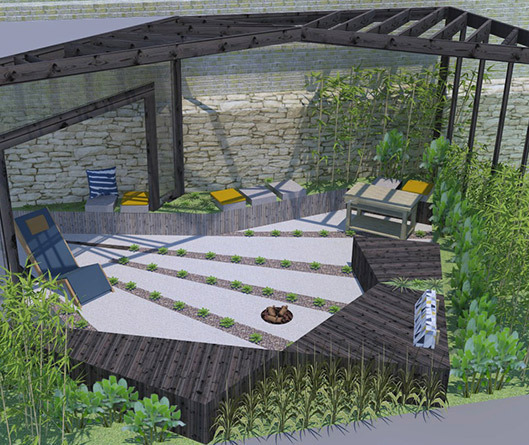 The ‘Teagasc Garden of Hope’ provides a peaceful space for spiritual renewal, reflection, and ease. A sense of intimacy is enhanced by the circular format used throughout. 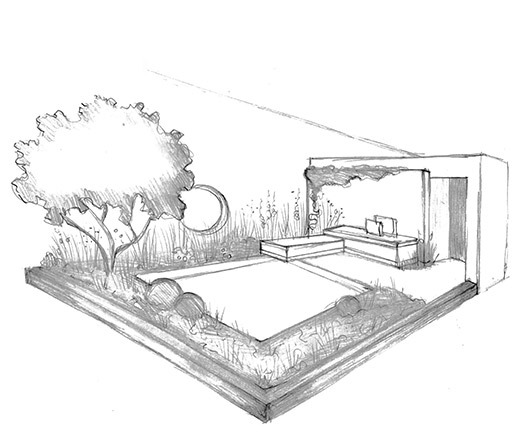 The circular form encourages contemplation and walking to relieve stress in a calm and secure setting. Internationally-renowned gardener Diarmuid Gavin has announced that he will be taking his one-man show around the country. 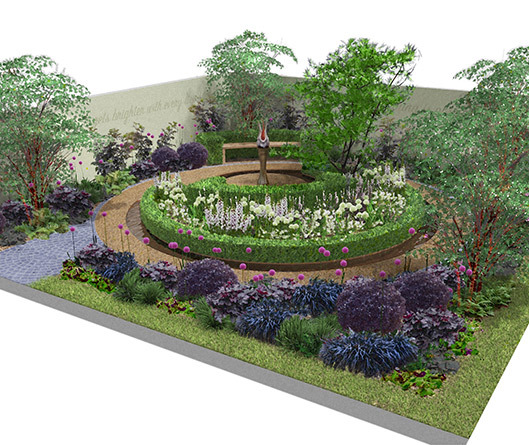 Diarmuid’s show explores the world of gardening, with stories of his antics at the Chelsea Flower Show and also tells of the history of outdoor design from around the globe. 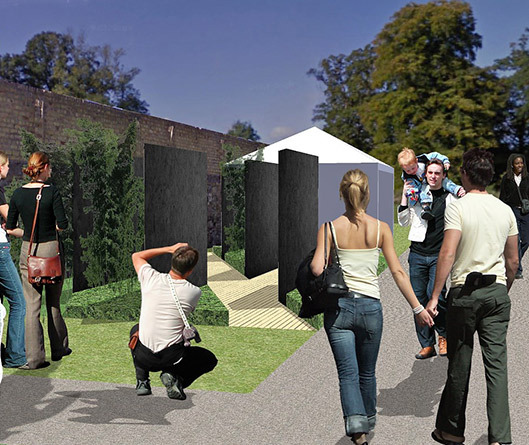 Agri Aware’s garden brings the journey of Ireland’s agri-food industry to life. The garden tells the story of Irish agriculture and food, through a farm to fork food circle. Now in its 20th year, Agri Aware aims to communicate the importance of the agri-food industry to the public, highlighting how farming is embracing sustainable practices and creating safe, affordable, traceable and quality food for Irish consumers and the export market. 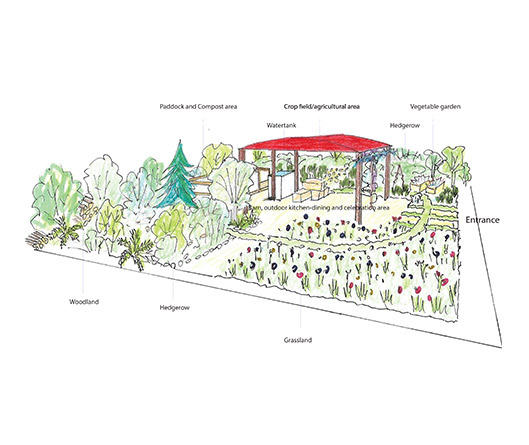 The Ría Organics Garden is designed to encapsulate and present the ethos and values of its organic skincare sponsor. Its rudimentary circular form represents society’s return to nature as a source of goodness and healing, having deviated towards synthetic products over previous decades. This resurgence in natural, organic goods is cross-referenced throughout the garden. 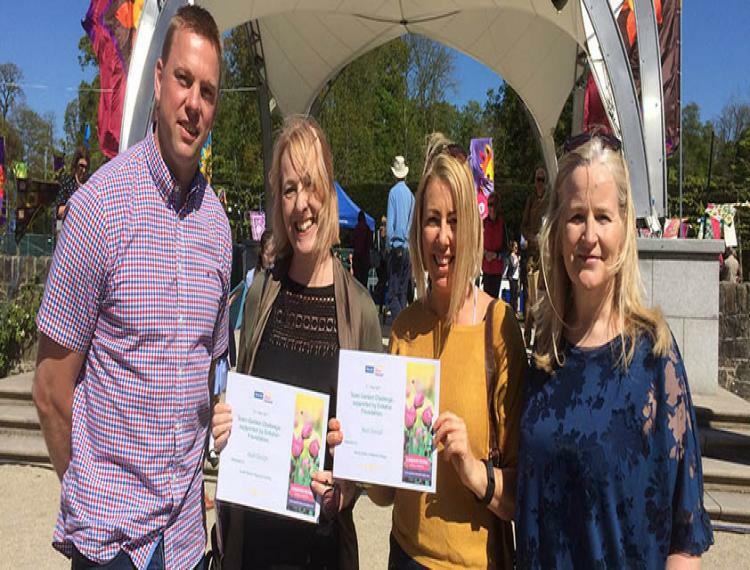 It was a smashing start to the weekend as garden designers from South Eastern Regional College (SERC) were named ‘Best Design’ AND ‘Best Overall’ in the Team Garden Challenge competition at this year’s Allianz Garden Show Ireland held at Antrim Castle Gardens. 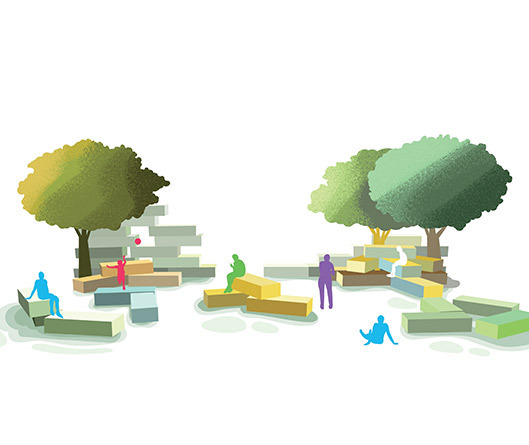 This garden reflects Dublin City Council (DCC) Parks & Landscape Services’ ambition to green the city. The department has recently developed a Tree Strategy and a Biodiversity Action Plan, and an Open Space Strategy is almost complete. Save Water – Every Drop Counts!